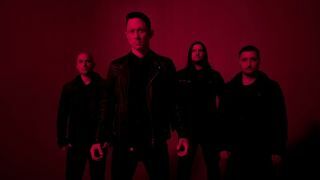 Trivium are releasing their eighth full-length The Sin And The Sentence on October 20, and it’s nothing short of a return to form, harking back to the heavier, more frenzied music we fell in love with on Ascendancy and In Waves. In the new issue of Metal Hammer (and on TeamRock+) we talk to frontman Matt Heafy and bassist Paolo Gregoletto about rediscovering their aggression and (more importantly) voice after Matt’s vocal surgery. To give a deeper understanding of the new record, and the band’s experiences that fed into it, we sat down with Matt and Paolo to go through The Sin And The Sentence track by track. You can read the full story on Trivium’s new album in the latest issue of Metal Hammer – on sale now. Buy it directly here or become a TeamRock+ member to read it right now.